One isn’t born knowing how to sell. It’s a skill and ability that is developed over time. Sometimes, you need a “guide” to share those “valuable insights” with you, to tell you when you’re headed down the wrong path and how to get back on track. 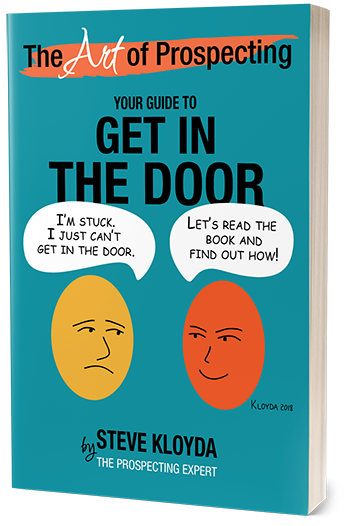 This book is your guide to get in the door and close more sales. Steve shares his top prospecting tactics and strategies he has developed, implemented, refined and personally tested with more than 1,000,000 (yes, that’s one MILLION!) sales and prospecting calls. —Jake Atwood, President, BuzzBuilder, Inc.
—Laurie Currell, VP Training and Consulting Services, Dardis Communications, Inc.